Regarding the column entitled “Monopoly of luxury apartments detrimental to students” Sept. 8, I would like to clarify a few points regarding Madison’s housing market and the City of Madison’s housing policy. First, since 2010 the City of Madison’s vacancy rate has hovered between 2-3 percent, a situation that pushed rents up across the City making it harder for our low-income residents (including students) to afford their housing. A vacancy rate of 5 percent is considered healthy and that is our goal. Increasing the supply of rental housing to meet the increased demand we have seen is the first step to keeping rents in check for all tenants. The market has been responding to this demand by building a range of apartment buildings, some for students, but mostly for young professionals through empty nesters looking to live closer to our vibrant downtown. While students may not reside in much of the new housing, it does relieve pressure in the market for them. Second, the homes in our downtown neighborhoods including Bassett, Greenbush and Mansion Hill-James Madison Park have seen huge changes since they were built more than 100 years ago. First, these homes transformed from single-family homes to student rentals. Now as students choose to leave those houses for newer housing closer to campus, we as a City can choose between allowing them to continue to deteriorate or be demolished, or encouraging restoration to welcome a new generation of families. Our goal is not to push students out, but to restore the vitality of these neighborhoods with a mix of old and new units housing students, seniors, families and young professionals. The neighborhoods offer great walkability, historic character and some of the best schools in our city. And finally on the issue of affordable housing, I firmly believe that our city needs to offer housing that is affordable for everyone from students to seniors. 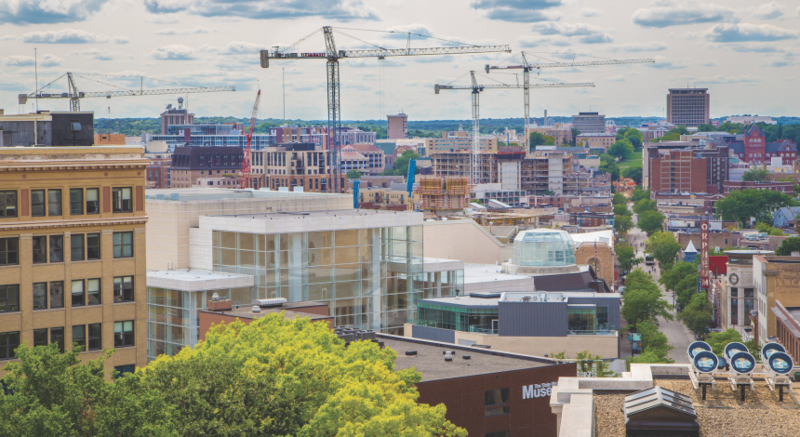 As long as Madison has a strong economy, high quality of life and a great university that draws people from around the world our housing market will see strong demand that will keep prices up and make affordability a challenge. 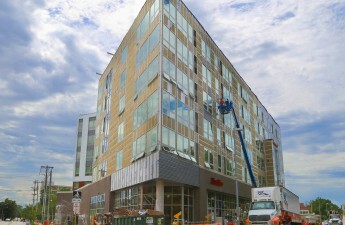 To address that challenge, city staff and committees are working to develop housing policies and programs, like the initiative to develop 750-1,000 new units of affordable rental housing over the next five years, using every tool in our tool belt to increase the number of affordable housing units and maintain a diverse mix of housing types. Just as importantly, we will work to ensure that all of our citizens have access to the great schools, libraries, neighborhood centers and job training programs that help them thrive so that they don’t have to struggle with the affordability of housing. Matthew Watcher ([email protected]) is a housing initiatives specialist with the City of Madison.